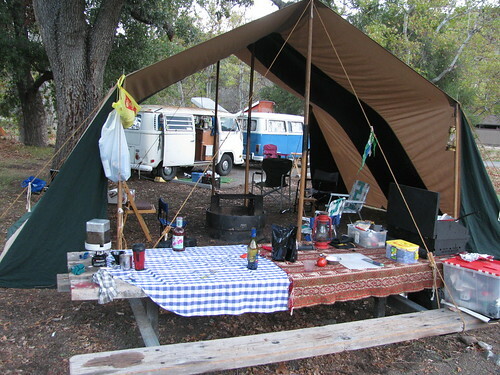 The group's camping station. The tent is a sunshade that John made. You can buy one, hand made, at Dragonwing Tents. 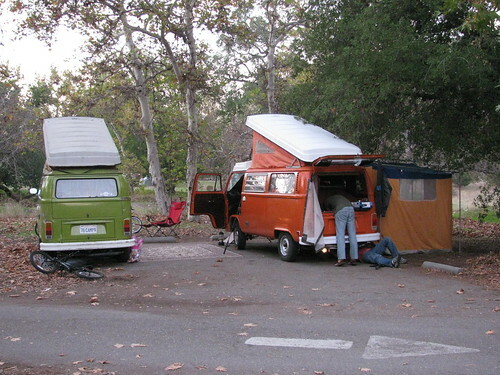 Romy and Aaron working on Aaron's orange bus. The green one is Regis's. 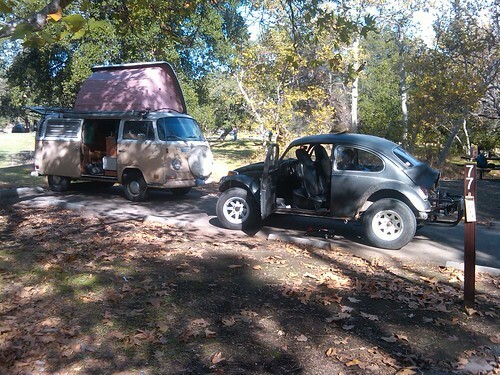 Our baja and John's dorm-mobile bus. 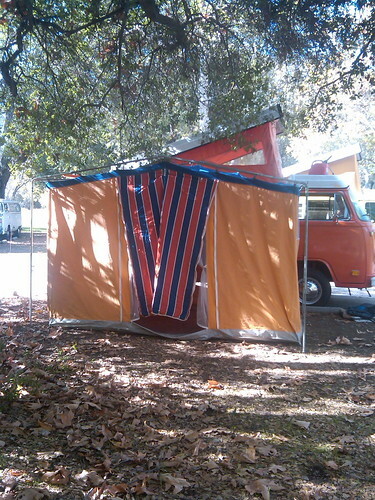 Aaron's original VW side tent.